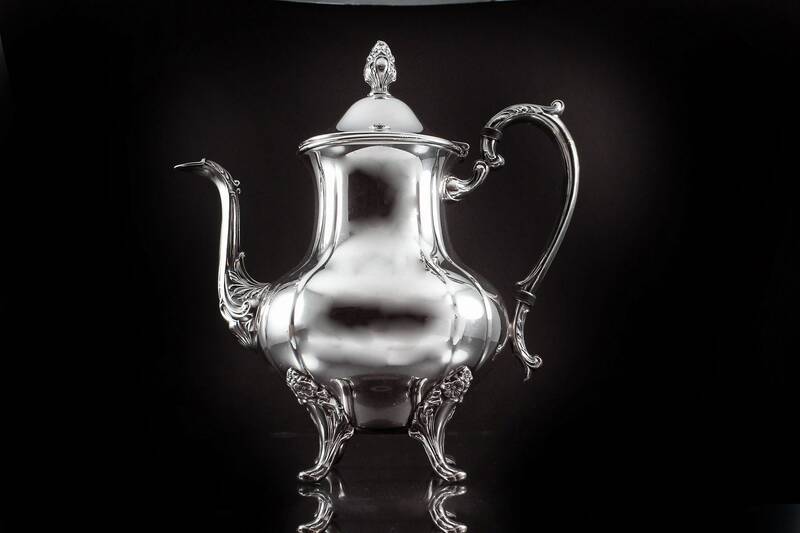 A gorgeous silver coffee pot/teapot. 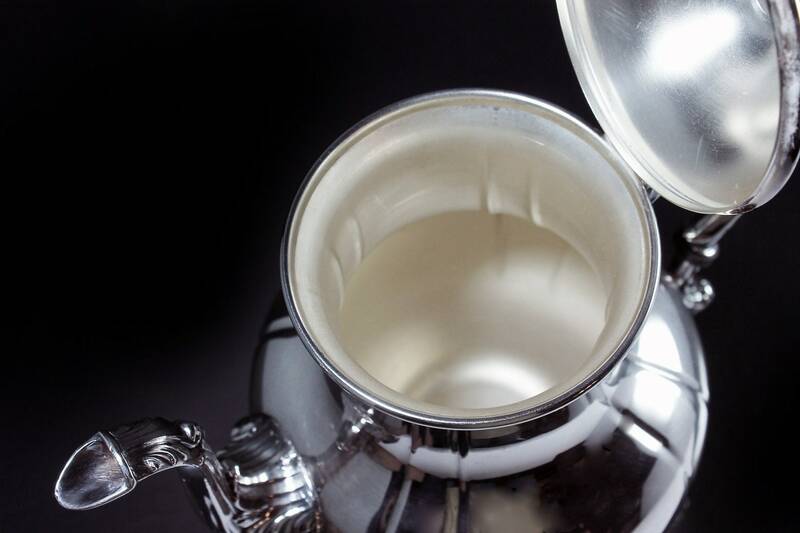 The silver on the outside does show the signs of use, but it still has a beautiful shine. 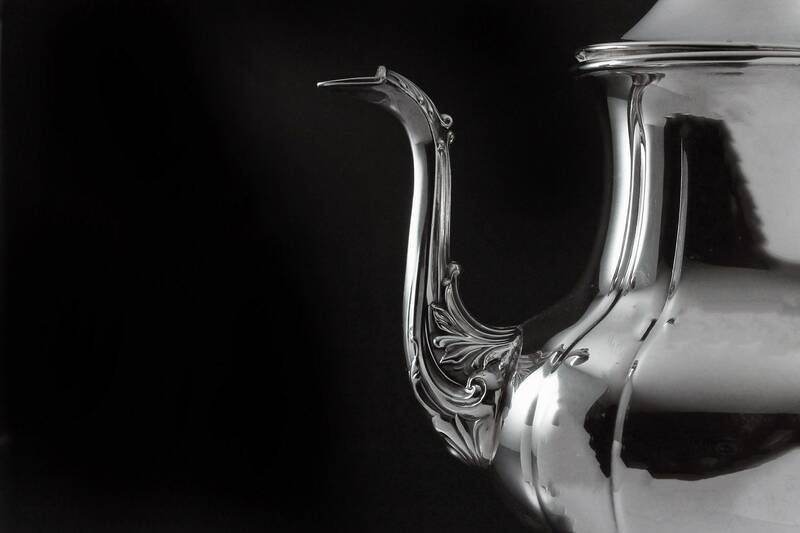 The inside is a gorgeous silver and very pretty. The top is attached with a hinge. 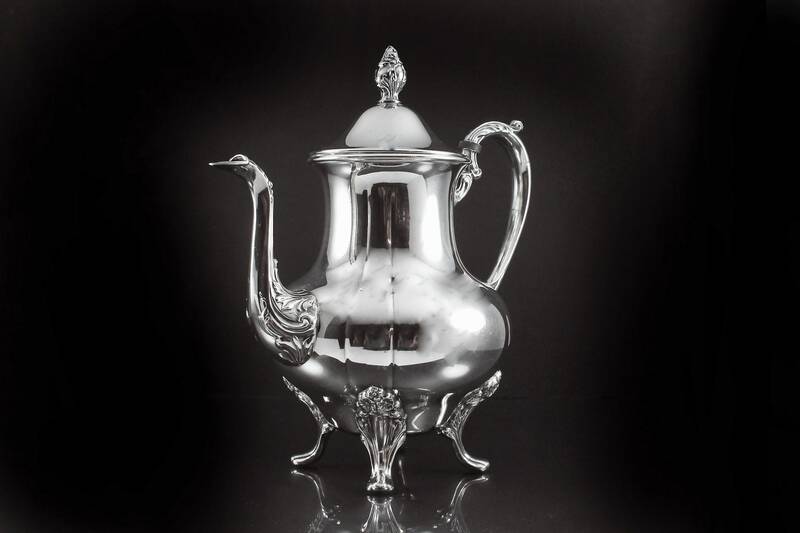 The handle, spout, and feet are very ornate with a floral and leaf pattern. 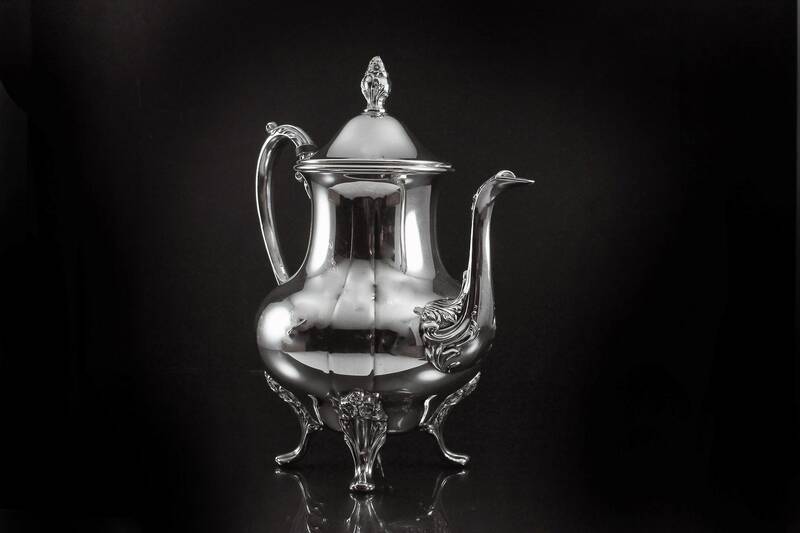 The design of this pot is called Fluted. 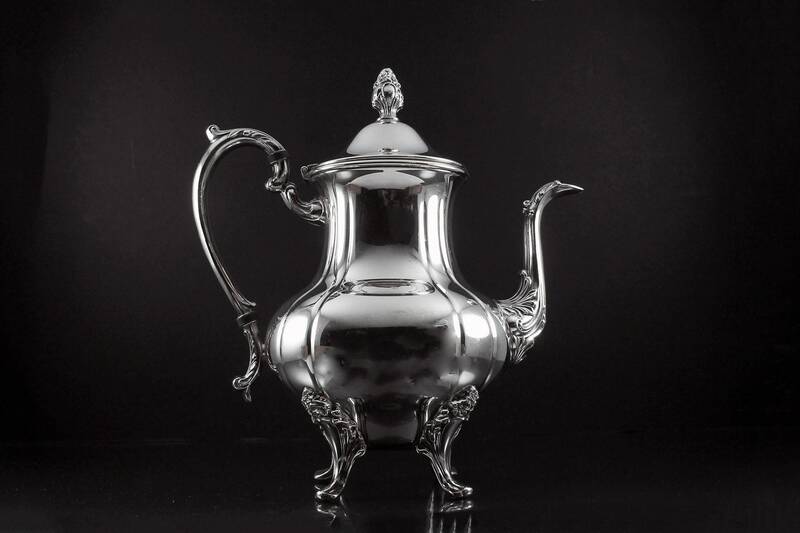 This pot will make a great statement on a buffet table, sideboard, dining table or tea table. 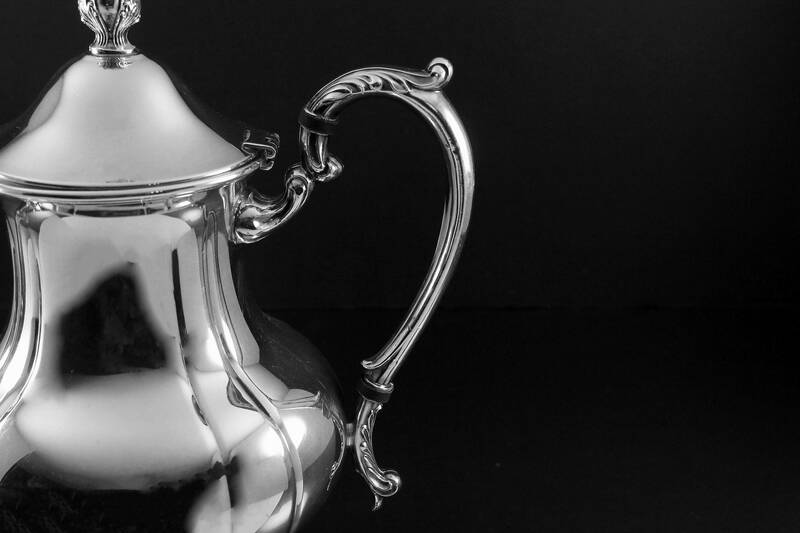 A perfect addition to your home decor or for the collector. 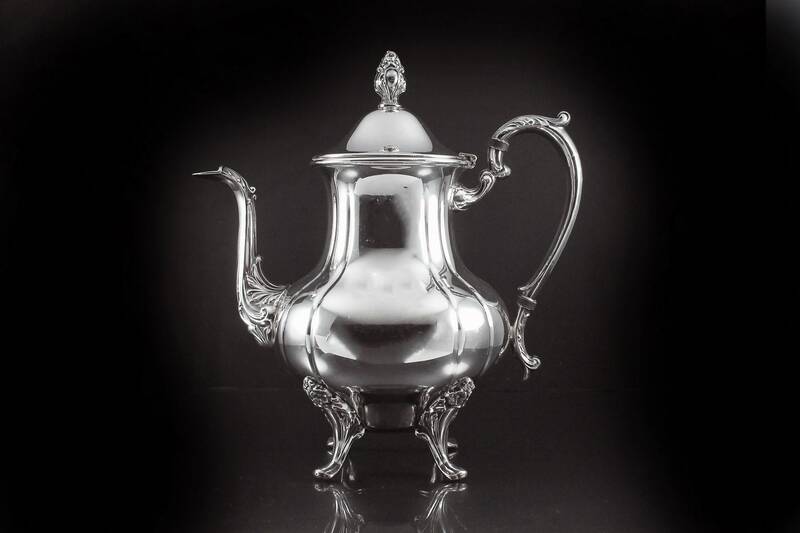 This silver coffee pot is in excellent condition. There is no pitting, dents, or major mars. 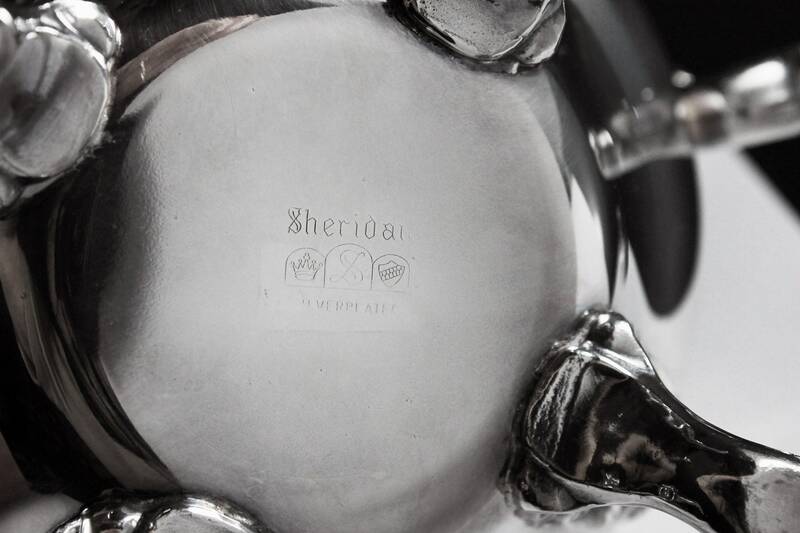 It does have a small amount of scratching and the usual scuff marks from being used and cleaned over the years. 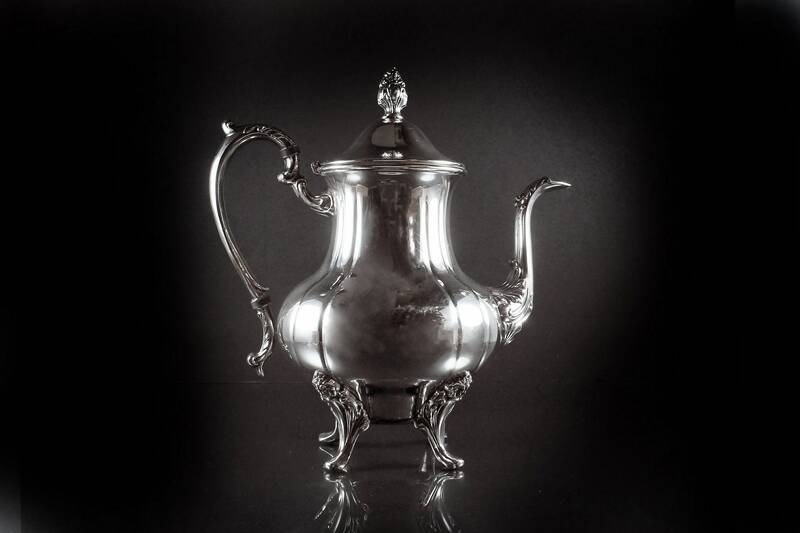 What a great silver piece to dress your dining table, serve an afternoon tea, or host a party. Perfect for the holidays, special occasions, or for a gift idea.